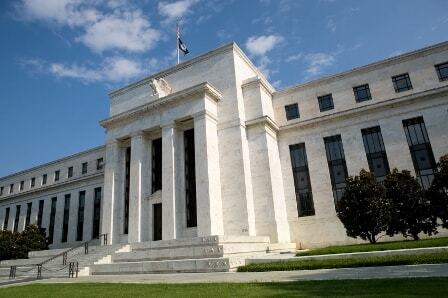 The Federal Reserve will begin its two-day meeting Tuesday and there is high expectation of an interest rate rise and it comes at a time of great uncertainty for the markets. Politics is in focus with UK lawmakers finally giving the government permission to begin their EU exit process; Dutch elections take place Wednesday with French presidential elections in the near future. There is also growing tension between some EU nations and Turkey. Commodities remain constrained while data continues to paint a mixed picture for major economies. Asian indexes closed broadly flat Tuesday with Chinese retail data disappointing and an Australian business confidence index slipping. Seoul was the session’s best performer. In Europe, political concern is making investors cautious and most indexes are flat or lower. Mixed Eurozone and German data has exacerbated the issues. The exception is London, which is gaining on parliament’s Brexit vote. Wall Street and Toronto are expected to open lower. Canadian home price data is due. The Fed’s FOMC meeting begins. While most analysts are calling for an interest rate rise from the Fed this week, the surprise from the FOMC meeting could be a renewed pace of increases. While there was the potential for three rate rises this year, there could now be more as the central bank seeks stronger inflation. "They do not have as much room to be patient as they did before," Tim Duy, an economics professor at the University of Oregon told Reuters. With inflation rising in some economies in Europe and Asia, the policymakers will be keen to ensure that the US does not lag, which may require additional increases for interest rates.